Russian history and politics over the past hundred years or so is sometimes interpreted as a fitful but ineluctable advance of a traditional agrarian society toward modern ideological, political, social, and economic patterns. Seen in this light, the socialist experiment, which began in 1917 and ended with the collapse of the Soviet Union in 1991, is understood as modernization in the broad sense of the word, including industrialization, urbanization, an educational (cultural) revolution, and the evolvement of a more “mature” or modern political culture and a secular mentality. 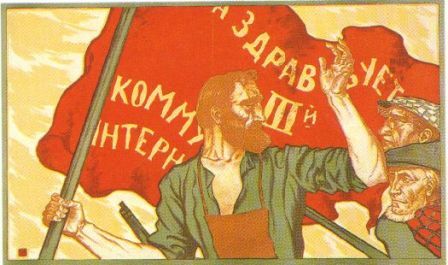 The revolution of 1917, starting with the collapse of tsarism in February and culminating in the Bolshevik takeover in October, was itself, to a large extent, engendered by the pressures of modernization. It engaged various sections of the population, including the bourgeoisie and the middle and working classes. Each group had its own political program. Some adhered to the collectivist principles of Russia’s traditional society; others wished to emulate Western models of capitalism and democracy; still others advanced utopian Communist blueprints. Yet all felt the need to overcome the country’s backwardness and catch up with the group of leading industrialized nations in various spheres, including technological progress, labor productivity, general literacy of the population, and the development of democratic institutions. Striving to accelerate Russia’s development along the common vector of world civilization, Russia’s progressives belonging to all classes understood that absolutism and the vestiges of feudalism were the main obstacles to the country’s successful advance. Under the circumstances, it was Vladimir Lenin (1870–1924) and the Bolsheviks who had the upper hand. The new ruling elite pledged to build an entirely new type of government, the likes of which had never existed before. It claimed that for the first time in human history a government would serve the interests not of a privileged, exploiting minority, but of the overwhelming working-class majority of society.